The Concacaf Champions League has only been played in its current format since 2008. In the beginning, MLS was ill-prepared and lost scandalously to smaller teams from Trinidad and Tobago, Panama and even USL's Puerto Rico Islanders and Montreal Impact. But a recent surge in the quality of play in the league has been matched by equally-impressive results in the CCL. 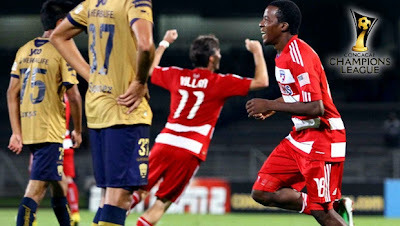 FC Dallas became the first MLS team to defeat a Mexican squad on Mexican soil with their win versus Pumas last week. Tonight, Seattle Sounders pushed that and became the second when they downed Monterrey at the Tecnologico. Clearly there is something special going on. The widening of player pools and salary and the increased competition from additional MLS teams has produced a new breed of American soccer player. Added to this is the rebirth of the reserve league. More playing time for individuals means a deeper pool to draw from as squads tackle MLS fixtures, US Open Cup, friendlies and the CCL. There are a few caveats that come along with the recent success of MLS in the CCL. Aside from the fact that all teams are undefeated so far and that they won all of their opening matches is the clear prerogative that international games have taken. There was an excellent article recently that touched on this subject and shows how much the league has grown in just four seasons. It also comes down to respect. Yes, Pumas showed a lack of respect for FC Dallas when they played their junior squad and were promptly punished. Today Monterrey fielded a nearly full strength team versus Seattle but the players lacked focus until the second half. That plus the absence of Ayovi in the first half still had us wondering how seriously they were taking the game. It should be noted that until MLS wins at home versus the Mexican squads in the return games, no real victory can truly be sung. Right now, a statement has been heard and it's up to the MLS teams to own this moment and finish their groups on top. Something special can still happen, as it almost did for Real Salt Lake in the final of the 2010/2011 Champions League. Team's views have changed and reaching the playoffs or winning the MLS Cup aren't the only goals. It's appropriate to suggest that Mexican teams will storm back into the scene. There is a lot of pride at stake, as could be seen near the end of Seattle's match when tempers flared. Let's remember that Mexico's league is only below Brazil and Argentina (and not by much) in the Americas. For the Aztecas, as it is for most other clubs in Europe and South America, reaching the top spots (and not just the championship) means lucrative deals, better players, and chances for continental glory. This is a new mindset for American fans but one that coaches are beginning to take up. Aaron Winter knows this, his Toronto team is all but out of MLS competition and he is focusing on the CCL. There is something different and special that MLS brings to the competition. Mexico might have great local and continental superstars in their teams, but only MLS is able to bring players from throughout the world. How many times were we likely to see Beckham and Keane playing meaningful, competitive matches in Mexico, Costa Rica, Honduras in the past decade? Not until MLS made the changes necessary. Our American league is learning from its mistakes and is embracing the way the sport is played throughout planet football but without losing its unique American style: teamwork.